It’s fair to say food has peaks and troughs. In this current climate of celebrity chefs, cookery programs for amateurs, professionals and social media, food has been in peak form for some time. One of the most common interview questions for any chef is to ask them what they think current food trends are. Many times the answer we receive is fresh food. How vague an answer is that? 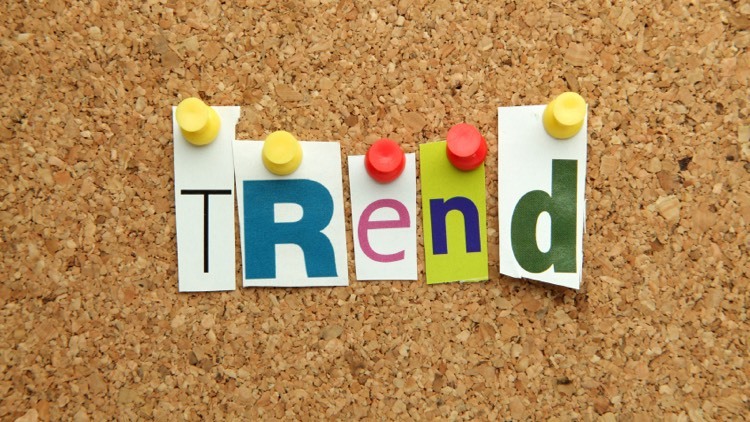 According to commercial gurus, the trend is currently trend spotting, confused? Basically there are large companies that look through global marketing spotting similarities and their job is to predict the next trend. I was at a conference a year ago when they revealed the last few years of marketing colours, and we as a group were left wondering what next year’s colour would be? Pistachio green was 2012/3’s main marketing colour and when I think about it I see it everywhere – at the new M&S in Hampshire the walls are pistachio green, new McDonalds the walls are a similar green colour, in actual fact many McDonalds walls are Green, but only the newer ones. Anyway, enough of colours and more about food; my answer to the current food trend question would be restaurants in general want to offer more in terms of flavour than anything else. This is done with the best ingredients, often seasonal, sometimes foraged, the husbandry of meat has vastly improved, some restaurants offer simple food with premium meat products and this has been beneficial to the growth and popularity. Pitt Cue Co., a favourite restaurant of mine, use premium pork, a breed called the Mangalitsa. This has a curly fleece like coat (similar to sheep) and is the Rolls Royce of pork. It’s grown from a street food incarnation to a restaurant in Soho and has crept up the popularity pole and is lying in the top 10 of London restaurants with just 29 seats and no reservations! The other 9 restaurants have accolades of at least 1 Michelin star, in some case 3. They are also in the business of using the finest meat, fish and vegetables and deliver fine dining menus composed of many small courses. The rise of the small course is no accident either. Lots of small courses offer many different tastes and texture sensations. The average diner is not aware that the more you eat the less you taste, after the first 5 mouthfuls your brain is yearning for something else. How long does the flavour of a piece of chewing gum last? 10 minutes? 20 minutes? Companies designing chewing gum claim 4 hours. After you chew that piece of chewing gum for 10 minutes your brain disconnects and you stop experiencing the flavour, however if you remove that chewing gum, consume something else, be it some sugar, the flavour will return if you place it back into your mouth. Nostalgia is a less obvious trend in restaurants; the chef is trying to take you on a journey. Maybe experience a memory of the chef’s. Memory of course being the closest link to the sense of smell. Even now if I ever use pumpkin, parmesan and truffle together the memory of a lunch at Gordon Ramsey comes to the front of my mind. The sense of smell is also what brings your taste buds to life; ever had a heavy cold and you couldn’t fully taste your food? At the Fat Duck and other top restaurants the smell factor is added to the dish, sometimes in the form of dry ice, atomisers and scent filled pillows that expel their scent when a plate is placed upon it. That leads me quite nicely to another trend observation: environment. This where a chef observes an animal, let’s say for argument sake it’s a breed of deer / venison. He can smell pine – maybe Douglas Fir – so the scent could be a component. The deer is eating grass, so chlorophyll / greenery is added to the dish in the form of herbs. The deer typically eats chestnuts and wild mushrooms, so this has a place in the dish too. Environment; this technique uses Mother Nature as its inspiration as well as a chef’s interpretation. Re-invention seems to be next thing, looking at the classics and up cycling them to a modern dish perhaps through refinement. With the aid of new cookery tools and ingredients, this is also achieved. I dinned at a Nottingham restaurant called Sat Bains where they served Waldorf Salad with a celery panna cotta and apple snow. There’s a restaurant in Chicago who completely changes concepts every quarter; it could be different spaces in time. On quarter it could be based on Paris 1906 then a famous restaurant such as El Bulli 2008 – the complete opposite in terms of food. The restaurant sells tickets similar to a sporting event or music show. It’s a unique theme that I’ve never heard of before – I guess this adds to the theatrics of it all. This theme may grow in popularity; it may die alone.